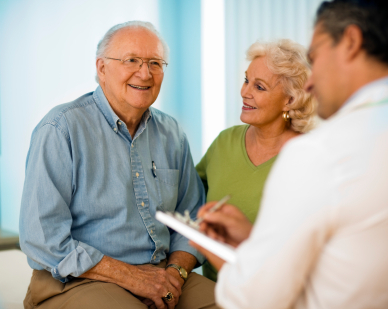 Home / FAQ / What are some long term care health insurance agencies? As demand has sharply increased, many insurance companies now offer long-term care policies. Many employers have added disability and long term care products to their benefit programs. The retirement age in the United States has also gradually increased over the last few decades. Many more Americans are continuing to work well past their 65th birthday. For immediate, up-to-date health insurance quotes, place your zip code in the box provided! The prospect of long-term health care is something more and more Americans will face in the 21st century. While Americans live longer than ever before in history, longevity has its price, and the number of older adults requiring rehabilitative care in a temporary setting, or long term care at a permanent treatment facility, is on the rise. Retirement programs, such as Social Security, have also increased the age of eligibility for receiving full benefits, and many Americans are concerned that these retirement benefits won’t be available by the time they are old enough to collect them. This is another good reason for consumers to seek out affordable long-term care insurance. Will I really need long-term coverage? As Americans grow older, diseases such as Alzheimer’s and Parkinson’s affect more and more people. As older adults suffer heart disease and stroke, their lives can be saved and prolonged, but not without proper care and continuing treatment. Unlike our forbearers, modern Americans can expect to live well into their 80s. By comparison, the life span of a Puritan settler in the 17th century American colonies was only 33 years. Ancient Greeks only lived to age 18 on average. With a longer life comes an increased need for specialized medical care and treatment. Can’t I pay for these services? Perhaps there was a time in which long-term care was affordable for the average family, but like all other medical services, the costs of long-term care have increased dramatically. The average cost of long-term care had risen by 2010, to more than $75,000 per year! According to the U.S. Census Bureau, the median annual income in 2011 is only slightly greater than $50,000! Long-term care expenses are resources that the average family just doesn’t have. By the year 2030, it is estimated that 20% of Americans will be senior citizens and the number requiring long-term care will explode to encompass more than 23 million Americans! While we are living longer, healthier, and more productive lives, no one is immune from the ravages of old age, and the physical and mental breakdowns that most often accompany the aging process. More than 50% of Americans, over the age of 65, suffer from a serious debilitating illness or injury. First, long term care insurance promotes independence by providing the insured the means to pay for home care and costs related to assisted living facilities. Secondly, having insurance to pay these costs relieves family and loved ones from the responsibility and financial burden of caring for elder family members. Insured individuals also have more choices when it comes to where and when to receive long-term care. Long-term care insurance is more cost effective in the long run, saving precious family assets for emergencies or other extraordinary expenses. When should I buy long-term care protection? How much are maximum daily benefits? This coverage varies from $50 to $400 per day. These amounts may also be paid on a weekly basis. How long a term will my insurance cover? Terms can be two, three, four, five, or even an unlimited number of years. What is the elimination period? This is the waiting period before benefit payments begin, and can vary from 0 days to 100 plus days. Is there inflation protection? You can buy additional coverage, which will increase your dollar benefit amounts as health care costs increase due to inflation. For the latest information about long-term care policies and up-to-date health insurance rates, put your zip code in the handy box provided!